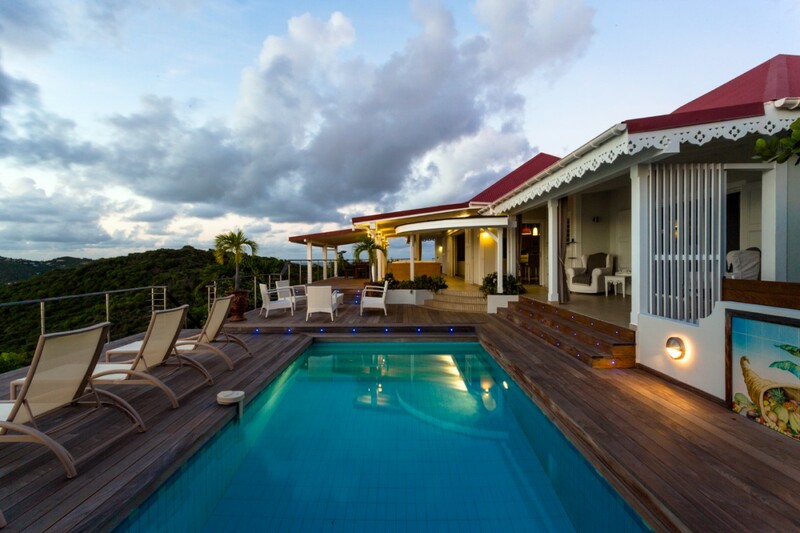 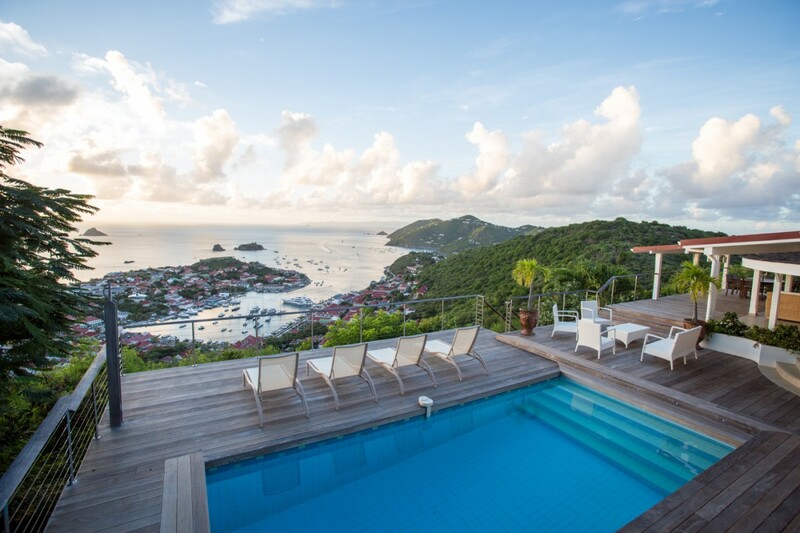 Villa Ti Moun St Barts. 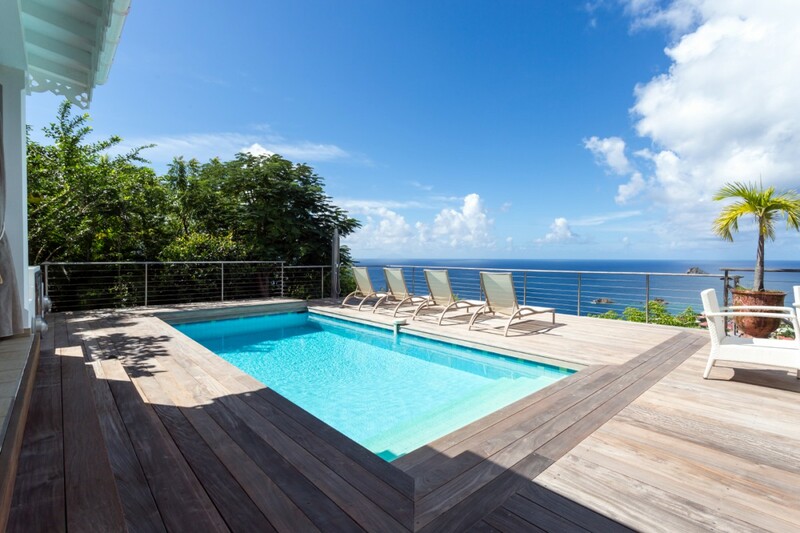 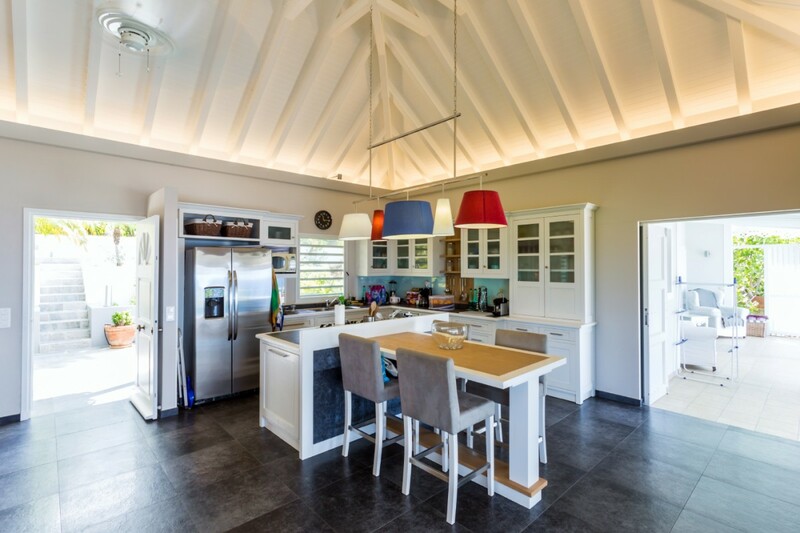 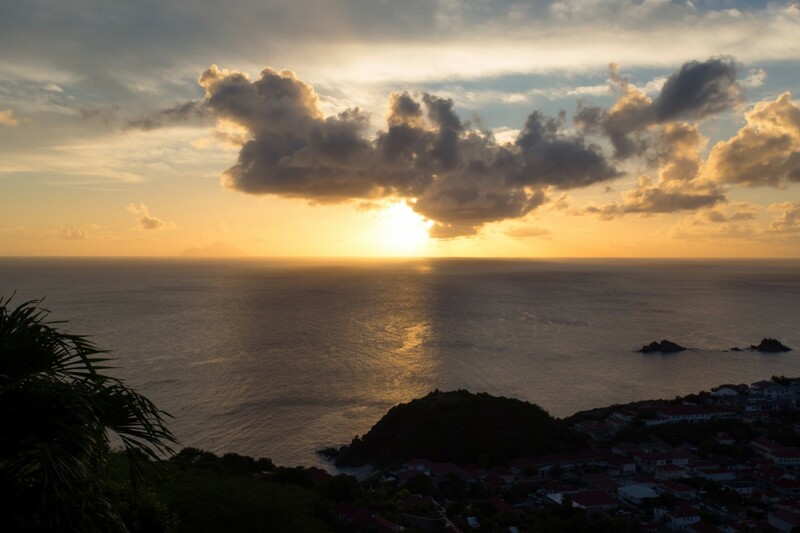 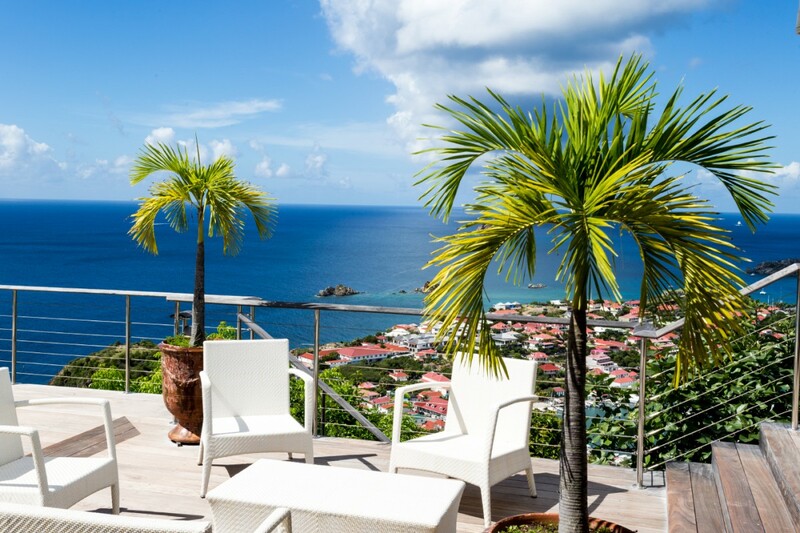 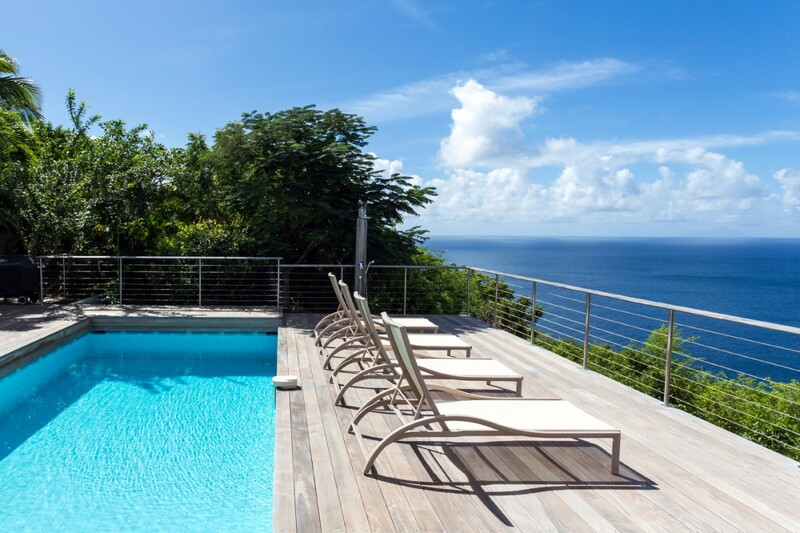 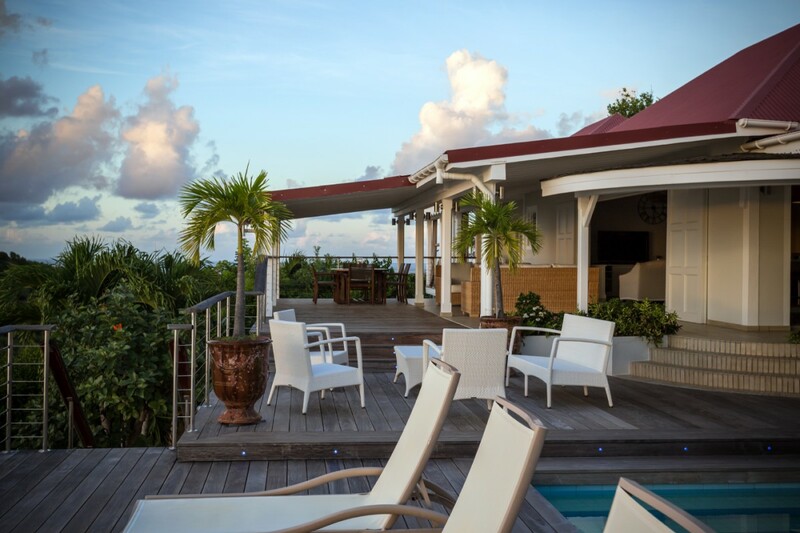 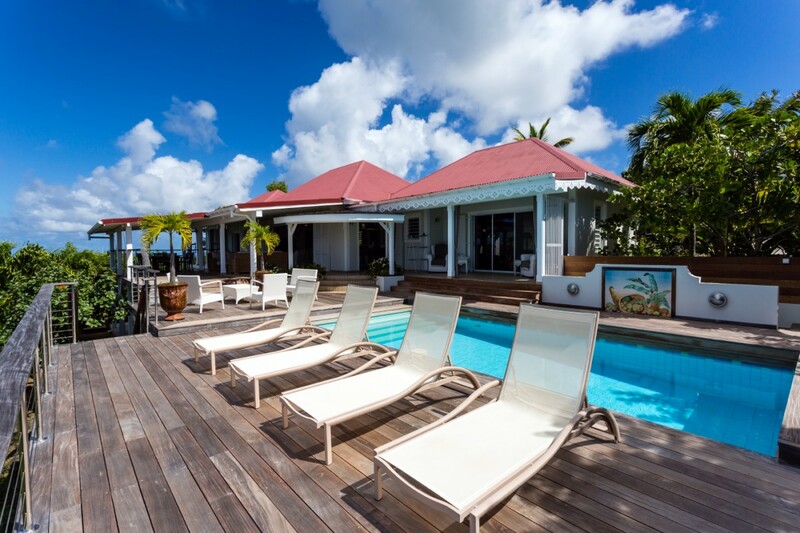 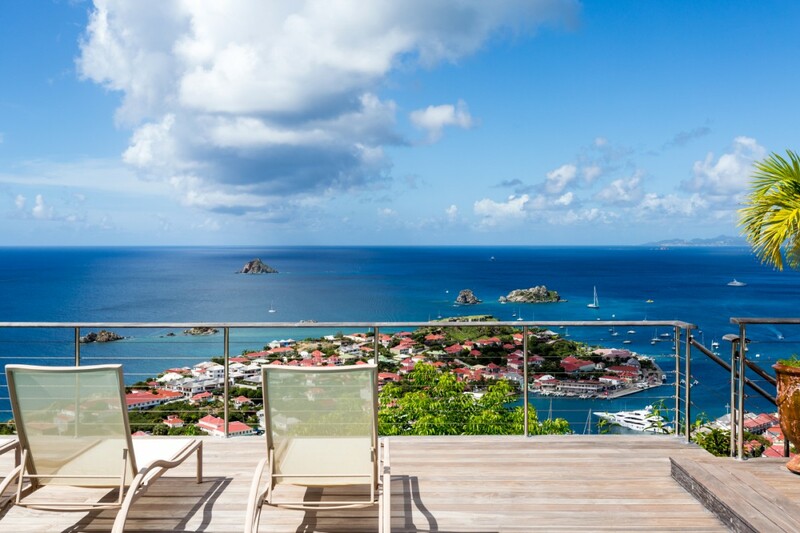 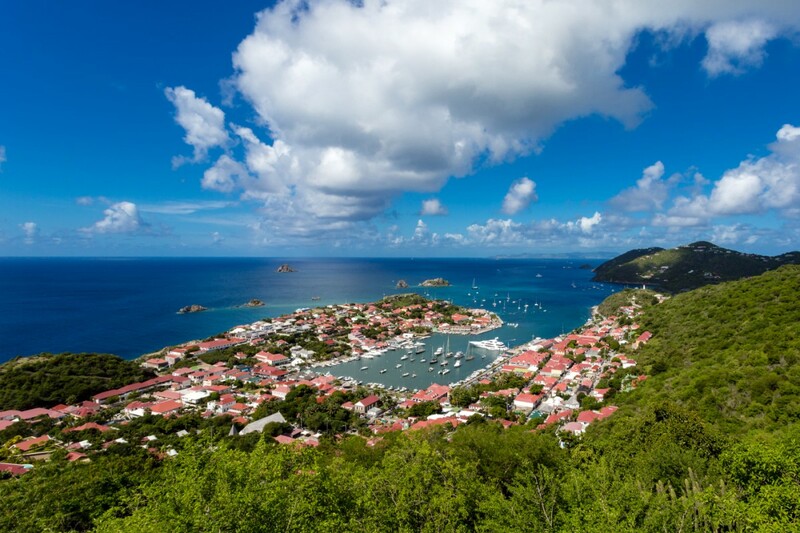 Savor a delightful view of the red rooftops of Gustavia in St. Barts when you book a visit to the Villa Ti Moun. 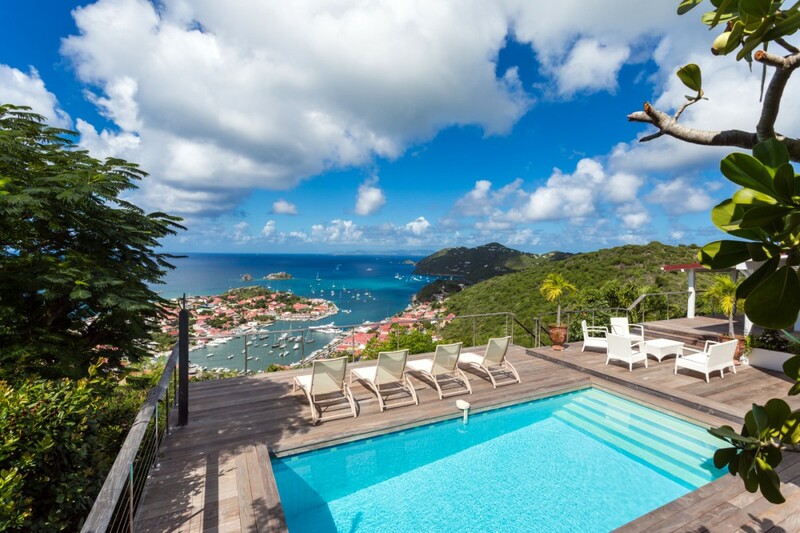 Set in the hills of Lurin, just above the harbor, it provides visitors with what is easily one of the most charming views imaginable. 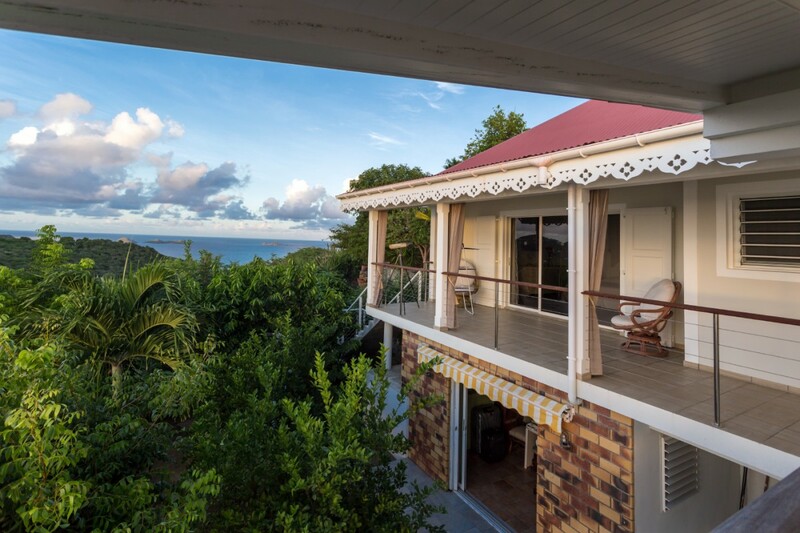 The islands in the distance and the curve of land sweeping away on both sides frames your view, ensuring lovely sunrises, sunsets and star-filled nights. 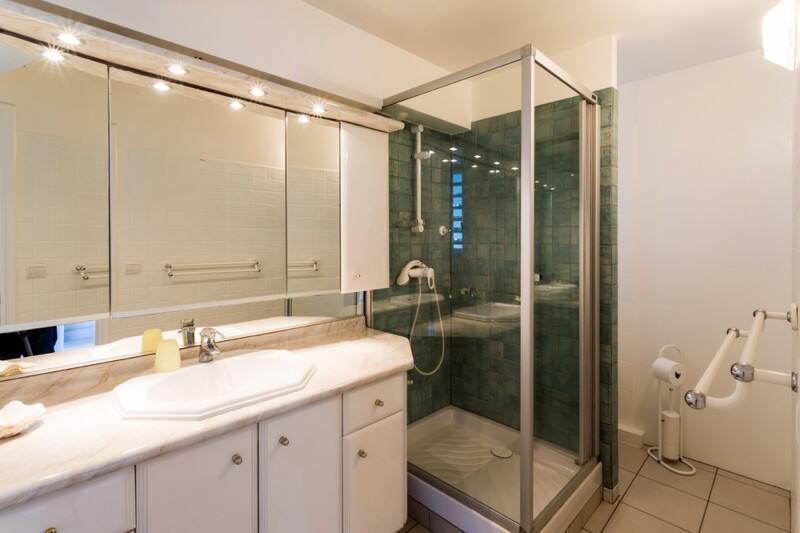 Enjoy it all in exquisite privacy and luxury from the many interior and exterior living spaces offered up in this three-bedroom gem. 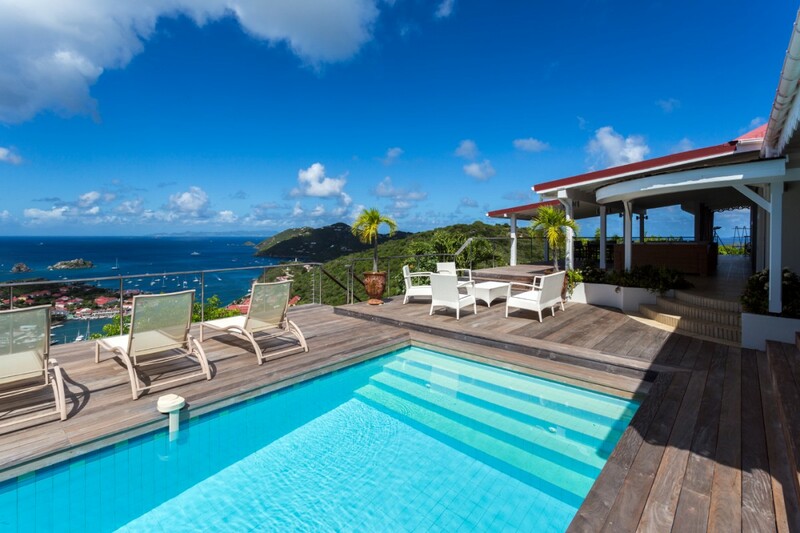 Naturally, your pool area is going to ensure the best views of the town below, and you can enjoy them from the generously sized pool or the wooden deck that frames the entire area. 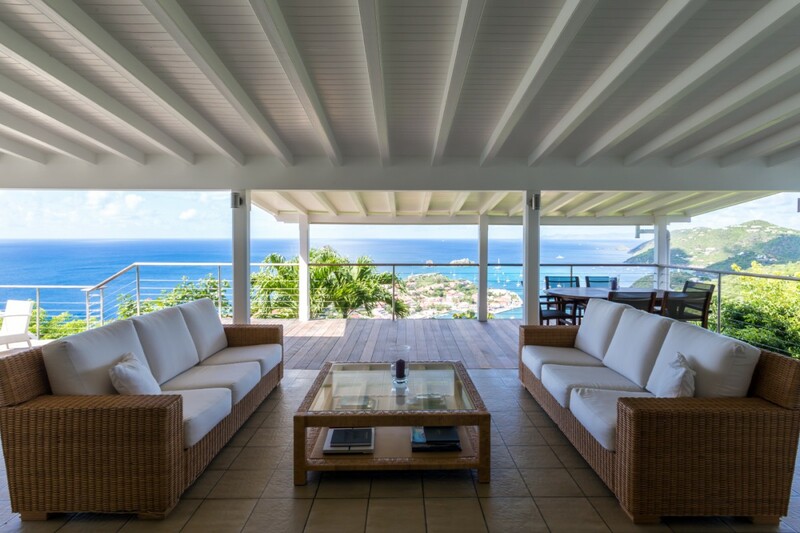 A fully-furnished sun deck may be your favorite spot, but the al fresco lounge or the shaded areas beneath the verandah are hard to beat too. 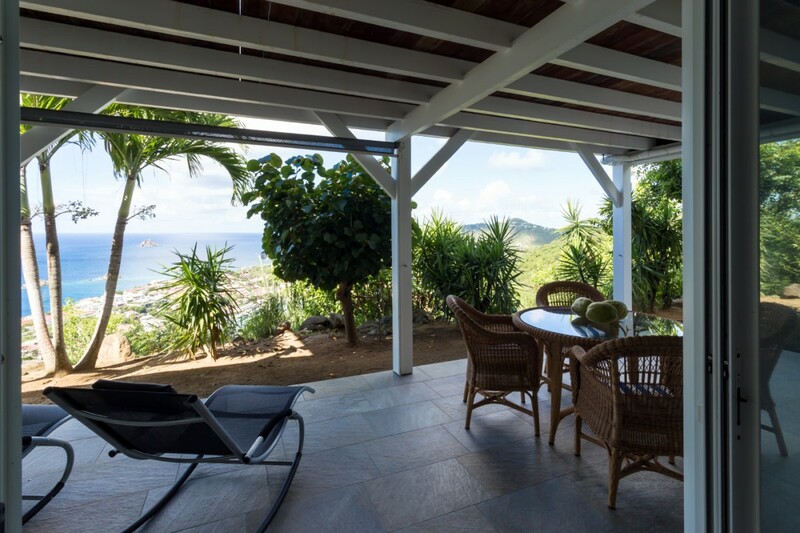 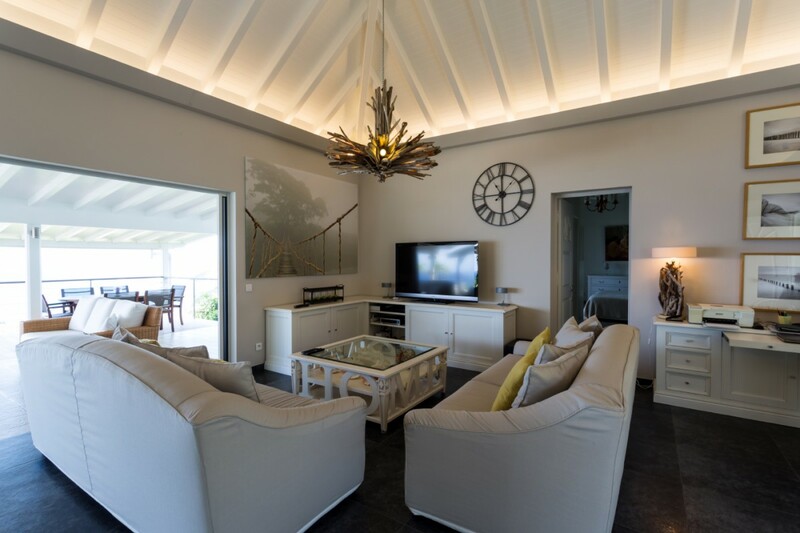 The verandah offers an outdoor dining room and full-sized tropical lounge, and this opens into the spacious great room. 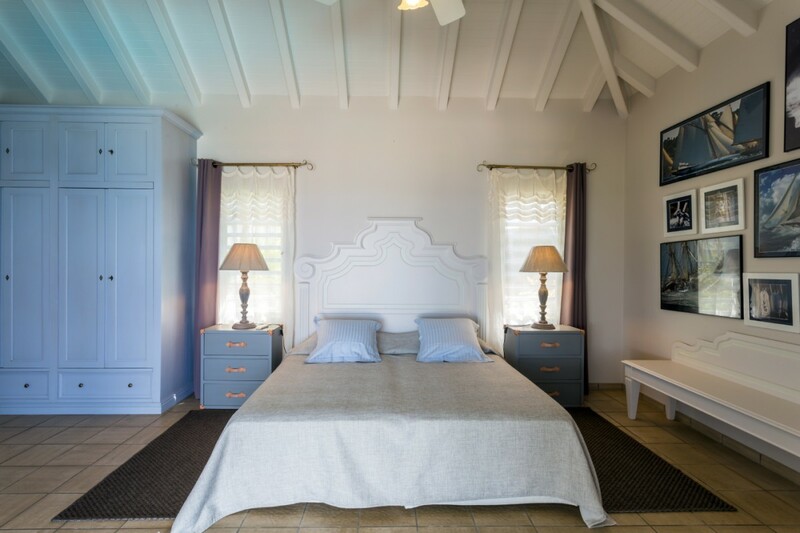 Designed with classic, high white painted ceilings, and using an open floor plan, it provides a breezy spot to take in the views or just relax in the lovely sunlight. 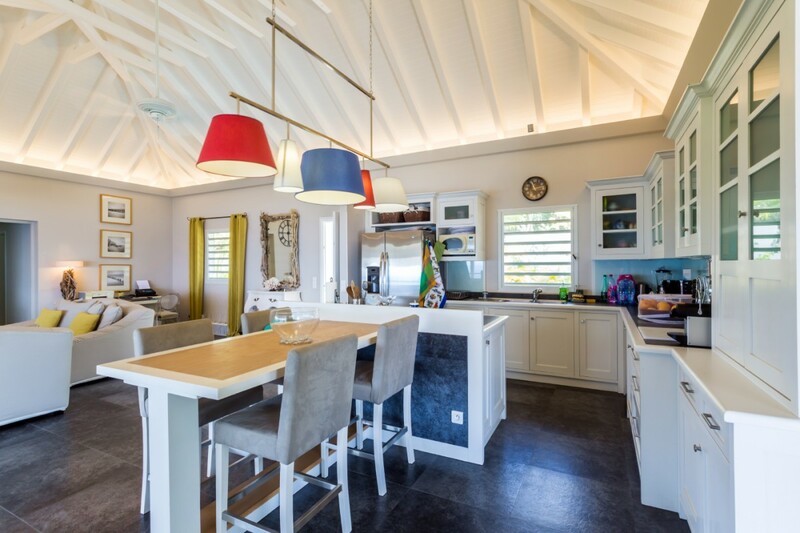 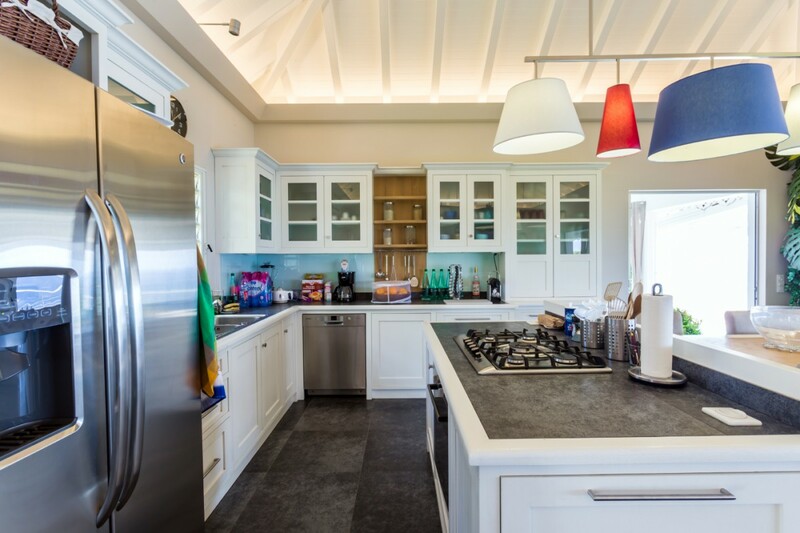 There is a living room and TV lounge, a small breakfast bar and the wonderful, open to the air, kitchen. 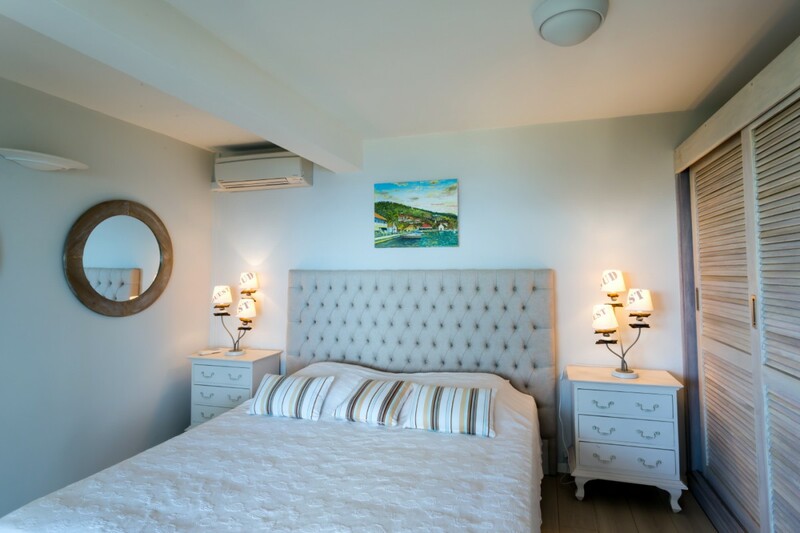 It is a bright white space with premium brand appliances and a design that optimizes your views. 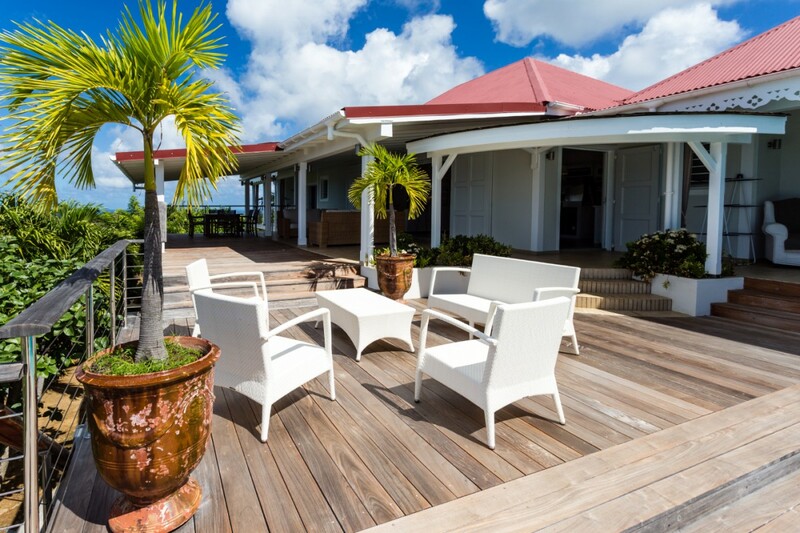 It opens to the terrace and the rear gardens making it ideal for entertaining. 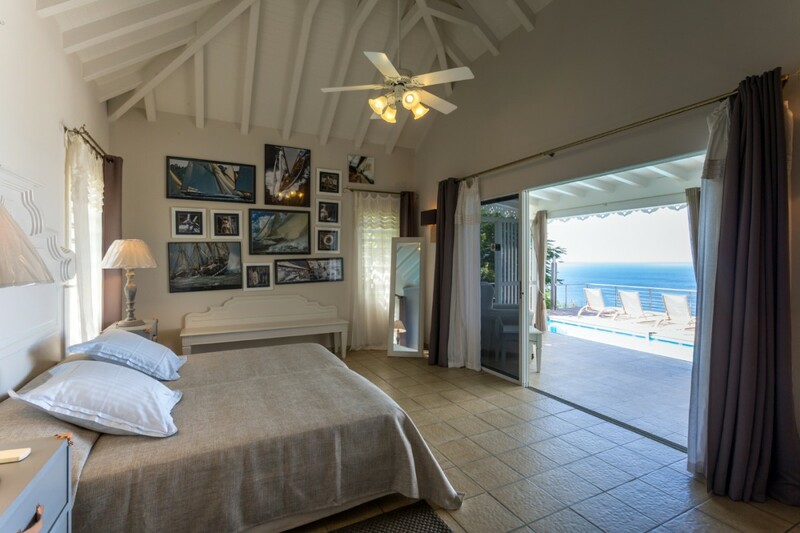 The three bedrooms are spacious and beautifully appointed. 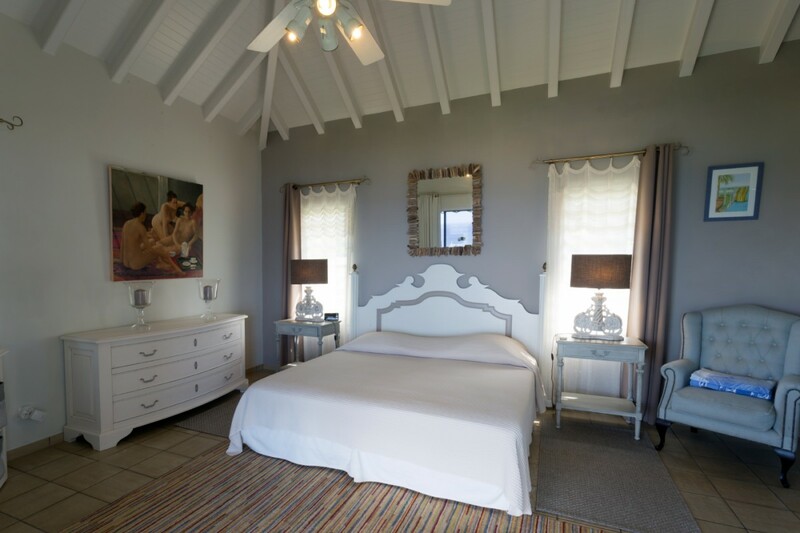 Two are master suites done with king beds, large and private baths and separate dressing rooms. 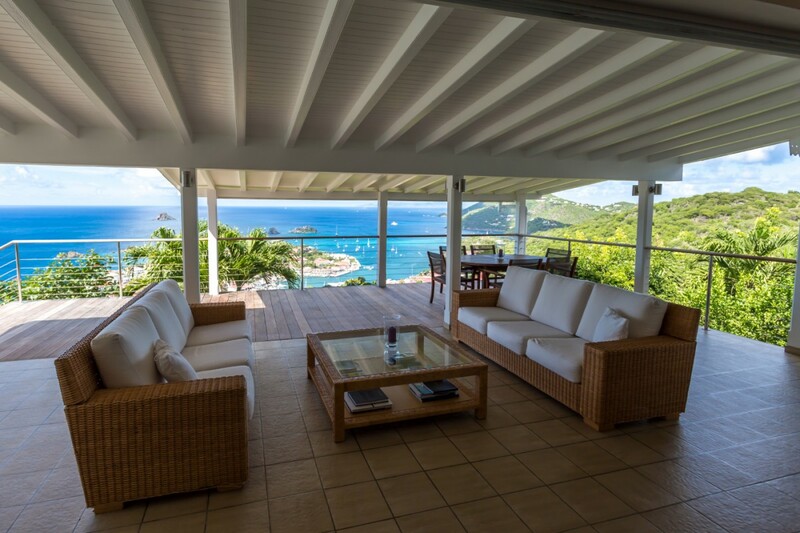 Both open to private terraces and offer visitors unimpeded ocean views. 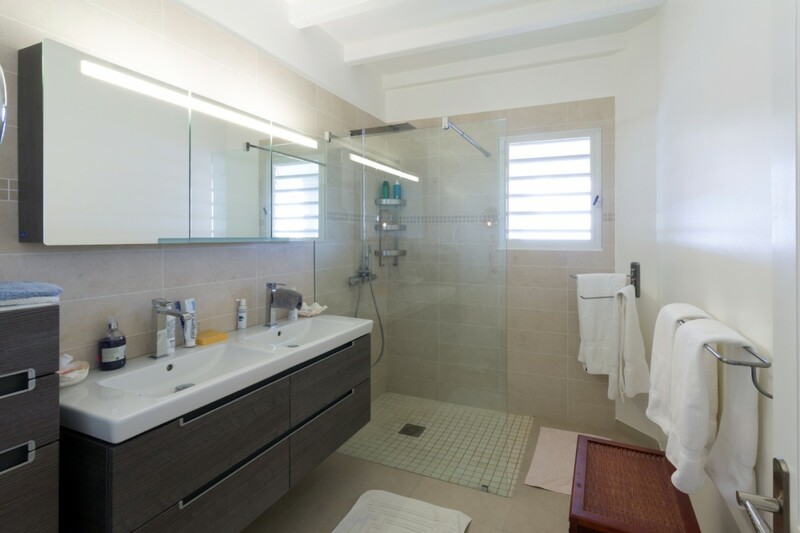 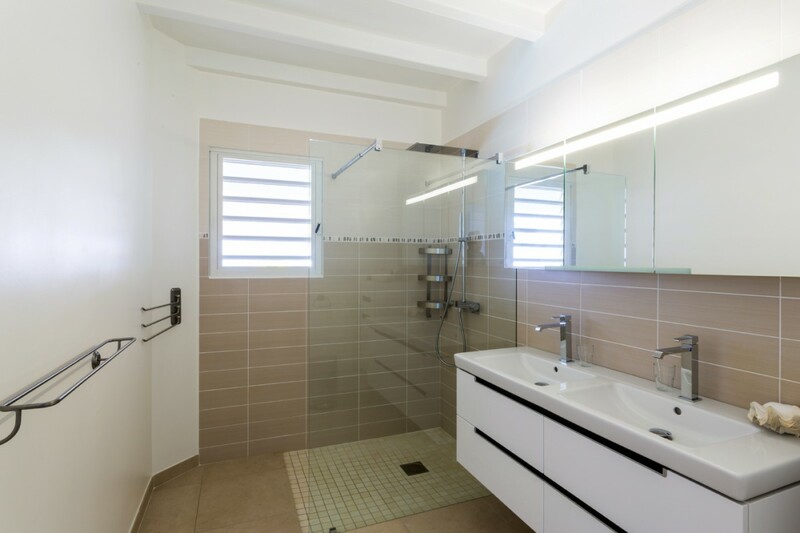 The third is a teen or children's suite below the main level and features a private bath. 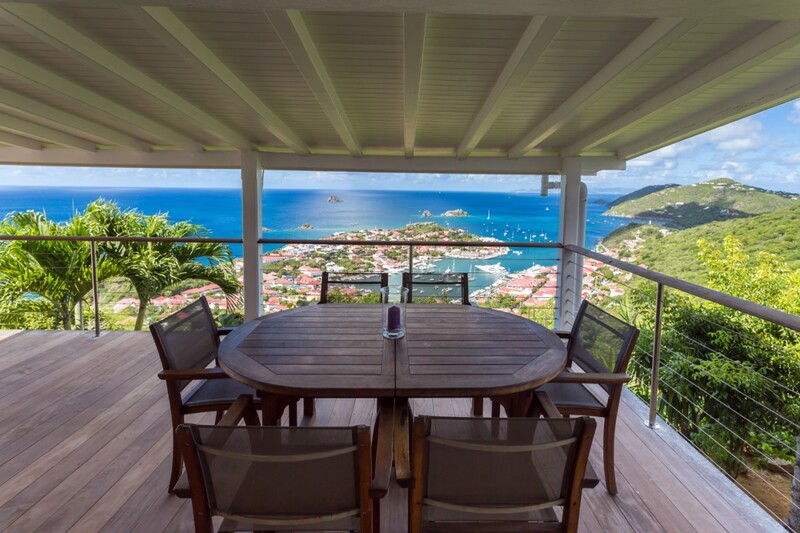 Perfect for the small family or group, the Villa Ti Moun combines a good location with luxurious surroundings for an unforgettable holiday. 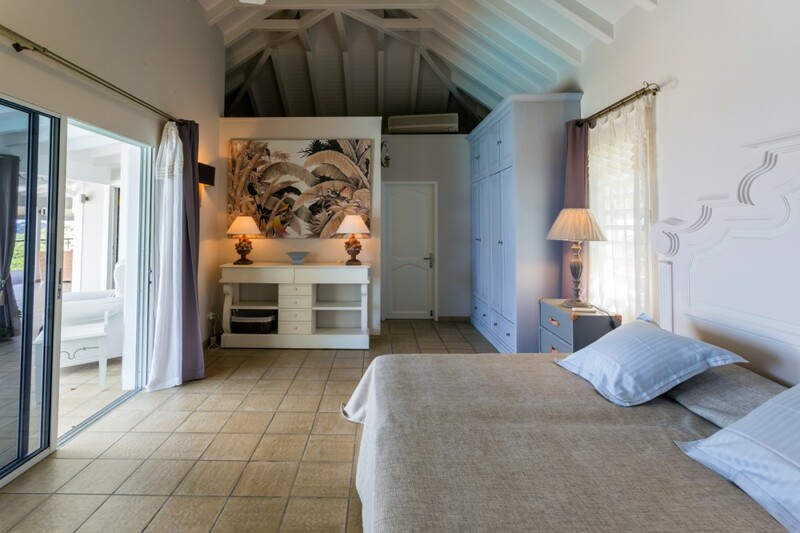 Bedroom 1: 1 King Bed, Air Conditioning, Ceiling Fan, Ensuite Bath with double vanity and shower, Dressing, Screens, Safe. 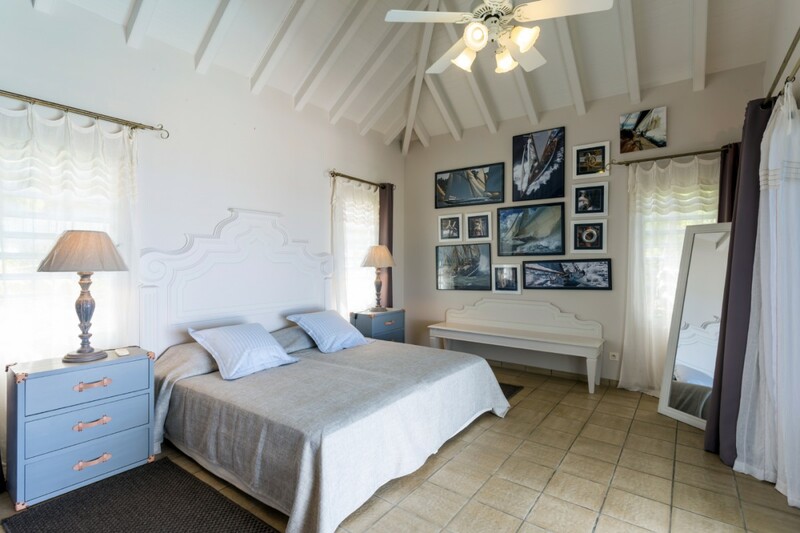 Blue, white and cream decor. 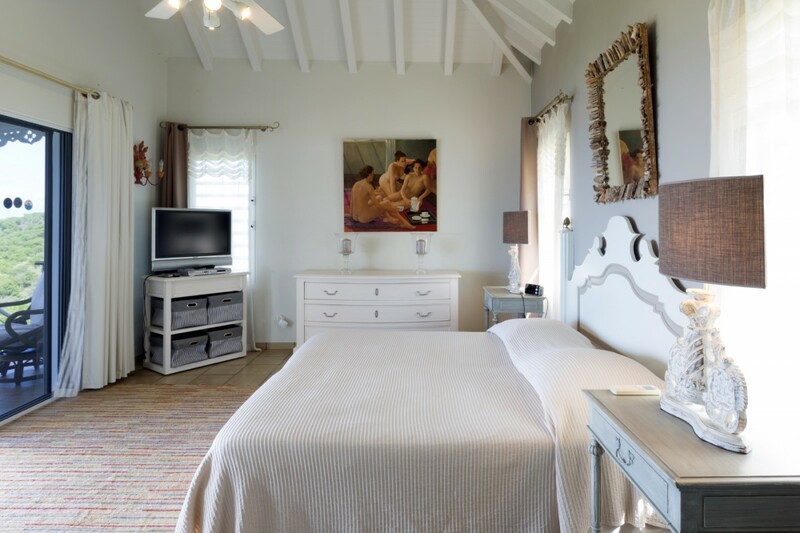 Large Master bedroom in a separate cottage. 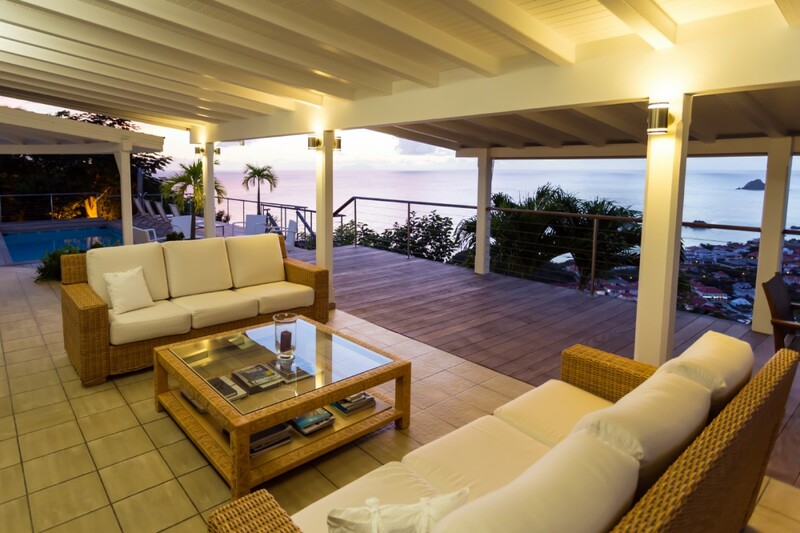 Opening onto private terrace, pool & ocean view. 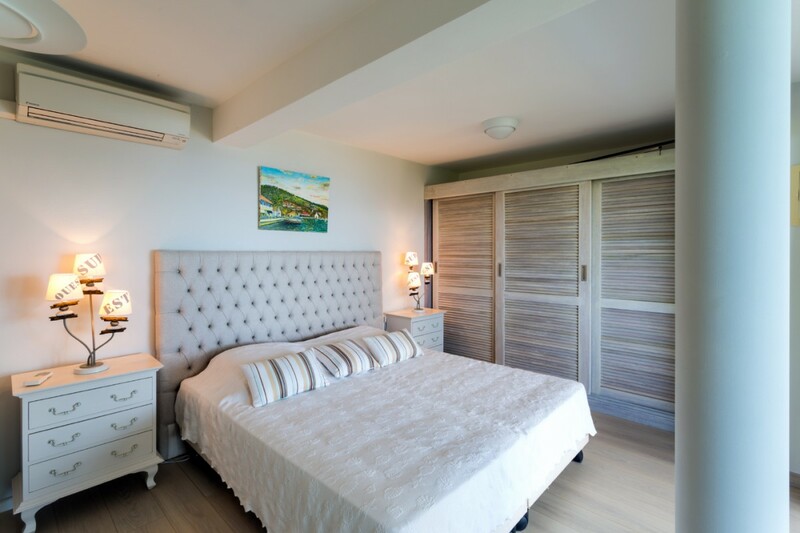 Bedroom 2: 1 King Bed, Air Conditioning, Ceiling Fan, Ensuite Bath with double vanity and shower,Dressing, Screens, Safe. 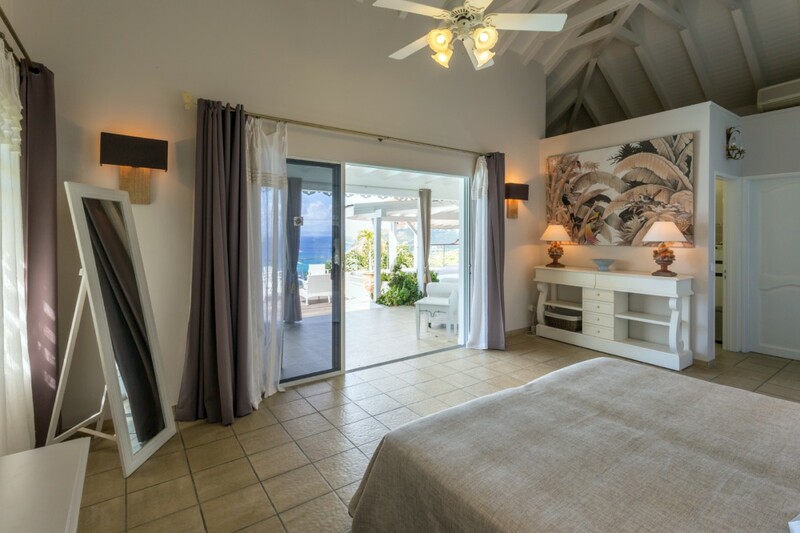 Large Master bedroom connected to the living room and opening onto the private terrace & ocean view. 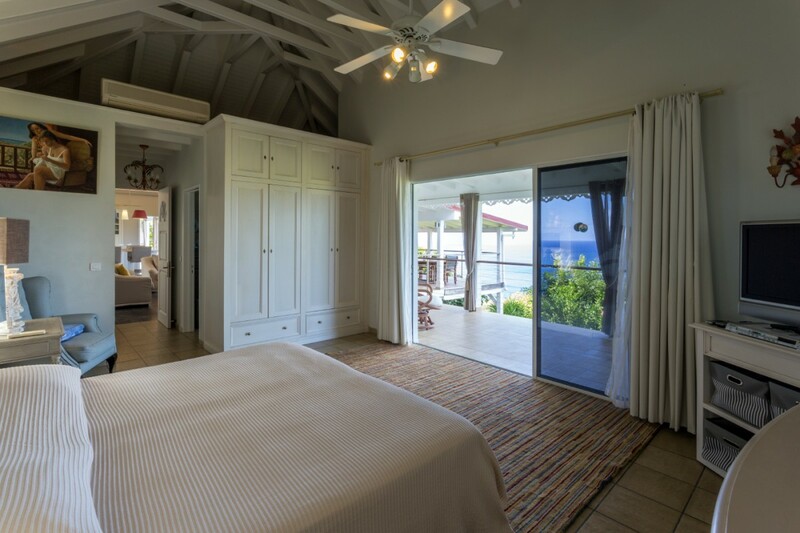 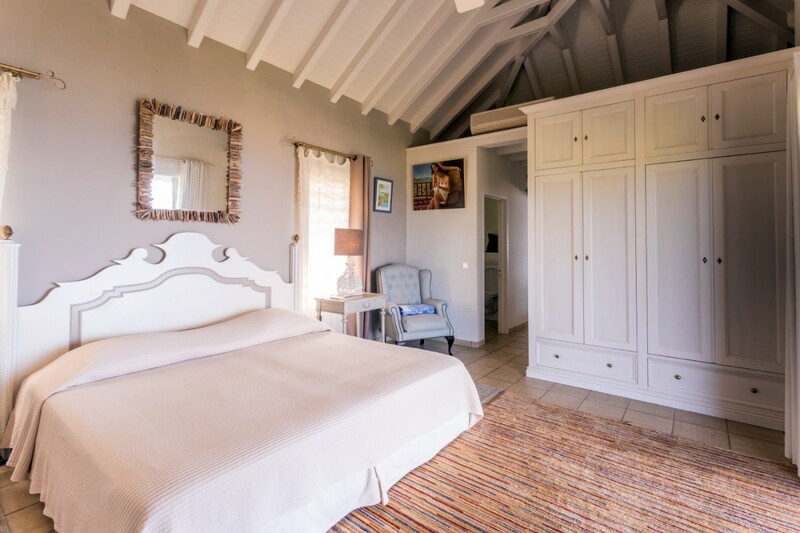 Bedroom 3: Located below the main villa, queen bed, ensuite bathroom w/ vanity and shower, private terrace and view of the harbor.